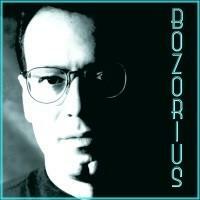 Bozorius, one of the Italy s foremost bass players. He is also a highly regarded composer, producer and sound engineer. After many years of experience playing and recording with his bands,and as a studio musician and sideman, he now presents his first solo cd. This cd is not overly technical, nor full of the usual scales and solos, but is made up of original compositions that mark his personal influences and tastes. Outstandingly played, these original songs vary from contemporary jazz instrumentals to vocal latin jazz. The music is performed with a unique warmth and feeling by some of Italy s best known musicians. Worthy of your attention. (Al Johnson) WINNER OF THE L.A. AWARDS 2006, BEST NEW JAZZ ALBUM.